Scott Anthony Archives: AIRBORNE EBOLA: FIT TESTING REQUIRED FOR N95 MASKS OR RESPIRATORS! AIRBORNE EBOLA: FIT TESTING REQUIRED FOR N95 MASKS OR RESPIRATORS! While I have very little faith in most of the international health organizations responding to the Ebola Crisis in West Africa, at the very least, the CDC is putting out a bit more aggressive information in terms of what precautions need to be taken. However, officially, the CDC is still maintaining that Ebola is a "contact" virus, meaning you would need to come into contact with blood or body fluids. HOWEVER, this is the big part to understand... the CDC doesn't want to lose it's own Physicians, Nurses and other researchers that deal with the Ebola outbreak / attack. Therefore, if you search around the CDC site a bit and know what you are looking for... it is VERY EASY TO SEE that EBOLA IS AIRBORNE... at least, in droplet form. That said, I recently found a part of the CDC site that now is recommending that N95 masks or RESPIRATORS may be appropriate in the medical setting. ADDITIONALLY, FIT TESTING of respirators is now required. "Currently recommended infection prevention and control measures for hospitalized patients with EVD include Standard, Contact, and Droplet precautions (including use of eye protection and facemask). Respiratory protection using respirators providing at least 95% filtering efficiency (e.g., NIOSH-certified N-95 or higher-level filtering facepiece respirator) with appropriate fit-testing is recommended during aerosol-generating procedures (AGP), such as intubation, due to the potential for aerosolization of infectious particles." WHAT DOES THIS MEAN? It means, that the Ebola Virus, which myself and a few others just as +Jason Knight (from "Saving The Truth Movement") knew was an airborne capable virus, is NOW CONFIRMED that it is in fact AIRBORNE! Why? Because if it wasn't, N95 masks or RESPIRATORS would NOT be needed. Since they are, it is now safe to make the conclusion that Ebola, is airborne... and this goes beyond DROPLET precautions! Droplet precautions do NOT require "fit testing"; droplet precautions only require face shields, googles, and a simple mask. This means, there is now sufficient evidence found by the CDC to warrant "Fit Testing" of respirators before treating an Ebola patient. That means, they know, due to the small size of the virus, that a N95 mask won't be enough to block out the pathogen. That means they know that only top-level Personal Protective Equipment (PPE) will provide maximum protection. This is why commercial aircraft travel is NOT APPROVED by the CDC for any person exposed to Ebola, with or WITHOUT symptoms! The truth is there for you to see, but you need to know where to look. That is why myself and others like +Jason Knight are working diligently to provide you all with the truth you need to remain alive! Masks are used for three primary purposes in healthcare settings: 1) placed on healthcare personnel to protect them from contact with infectious material from patients e.g., respiratory secretions and sprays of blood or body fluids, consistent with Standard Precautions and Droplet Precautions; 2) placed on healthcare personnel when engaged in procedures requiring sterile technique to protect patients from exposure to infectious agents carried in a healthcare worker's mouth or nose, and 3) placed on coughing patients to limit potential dissemination of infectious respiratory secretions from the patient to others (i.e., Respiratory Hygiene/Cough Etiquette). Masks may be used in combination with goggles to protect the mouth, nose and eyes, or a face shield may be used instead of a mask and goggles, to provide more complete protection for the face, as discussed below. Masks should not be confused with particulate respirators that are used to prevent inhalation of small particles that may contain infectious agents transmitted via the airborne route as described below. The mucous membranes of the mouth, nose, and eyes are susceptible portals of entry for infectious agents, as can be other skin surfaces if skin integrity is compromised (e.g., by acne, dermatitis) 66, 751-754. Therefore, use of PPE to protect these body sites is an important component of Standard Precautions. The protective effect of masks for exposed healthcare personnel has been demonstrated 93, 113, 755, 756. Procedures that generate splashes or sprays of blood, body fluids, secretions, or excretions (e.g., endotracheal suctioning, bronchoscopy, invasive vascular procedures) require either a face shield (disposable or reusable) or mask and goggles 93-95, 96 , 113, 115, 262, 739, 757 .The wearing of masks, eye protection, and face shields in specified circumstances when blood or body fluid exposures are likely to occur is mandated by the OSHA Bloodborne Pathogens Standard 739. Appropriate PPE should be selected based on the anticipated level of exposure. 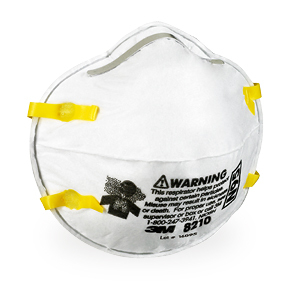 Two mask types are available for use in healthcare settings: surgical masks that are cleared by the FDA and required to have fluid-resistant properties, and procedure or isolation masks 758 #2688. No studies have been published that compare mask types to determine whether one mask type provides better protection than another. 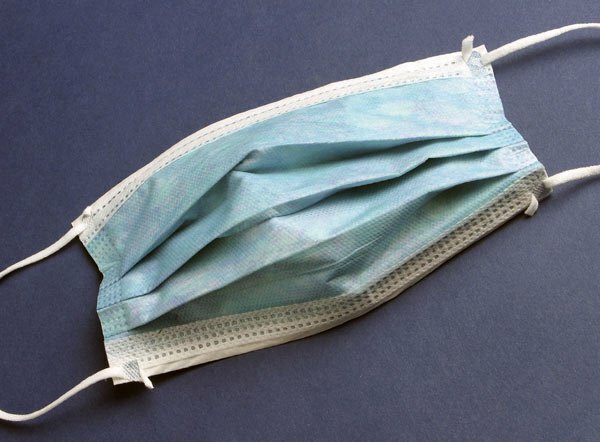 Since procedure/isolation masks are not regulated by the FDA, there may be more variability in quality and performance than with surgical masks. Masks come in various shapes (e.g., molded and non-molded), sizes, filtration efficiency, and method of attachment (e.g., ties, elastic, ear loops). Healthcare facilities may find that different types of masks are needed to meet individual healthcare personnel needs. Guidance on eye protection for infection control has been published 759. The eye protection chosen for specific work situations (e.g., goggles or face shield) depends upon the circumstances of exposure, other PPE used, and personal vision needs. Personal eyeglasses and contact lenses are NOT considered adequate eye protection (www.cdc.gov/niosh/topics/eye/eye-infectious.html). NIOSH states that, eye protection must be comfortable, allow for sufficient peripheral vision, and must be adjustable to ensure a secure fit. It may be necessary to provide several different types, styles, and sizes of protective equipment. Indirectly-vented goggles with a manufacturer's anti-fog coating may provide the most reliable practical eye protection from splashes, sprays, and respiratory droplets from multiple angles. Newer styles of goggles may provide better indirect airflow properties to reduce fogging, as well as better peripheral vision and more size options for fitting goggles to different workers. Many styles of goggles fit adequately over prescription glasses with minimal gaps. While effective as eye protection, goggles do not provide splash or spray protection to other parts of the face. The role of goggles, in addition to a mask, in preventing exposure to infectious agents transmitted via respiratory droplets has been studied only for RSV. Reports published in the mid-1980s demonstrated that eye protection reduced occupational transmission of RSV 760, 761. Whether this was due to preventing hand-eye contact or respiratory droplet-eye contact has not been determined. However, subsequent studies demonstrated that RSV transmission is effectively prevented by adherence to Standard plus Contact Precations and that for this virus routine use of goggles is not necessary 24, 116, 117, 684, 762. It is important to remind healthcare personnel that even if Droplet Precautions are not recommended for a specific respiratory tract pathogen, protection for the eyes, nose and mouth by using a mask and goggles, or face shield alone, is necessary when it is likely that there will be a splash or spray of any respiratory secretions or other body fluids as defined in Standard Precautions Disposable or non-disposable face shields may be used as an alternative to goggles 759. As compared with goggles, a face shield can provide protection to other facial areas in addition to the eyes. Face shields extending from chin to crown provide better face and eye protection from splashes and sprays; face shields that wrap around the sides may reduce splashes around the edge of the shield. Removal of a face shield, goggles and mask can be performed safely after gloves have been removed, and hand hygiene performed. The ties, ear pieces and/or headband used to secure the equipment to the head are considered "clean" and therefore safe to touch with bare hands. The front of a mask, goggles and face shield are considered contaminated (Figure). THE ABOVE ALL DEALS WITH "DROPLET PRECAUTIONS." BELOW, IS WHAT IS CONSIDERED "RESPIRATORY PRECAUTIONS" WHICH DEALS WITH "AIRBORNE PATHOGENS." The subject of respiratory protection as it applies to preventing transmission of airborne infectious agents, including the need for and frequency of fit-testing is under scientific review and was the subject of a CDC workshop in 2004 763. Respiratory protection currently requires the use of a respirator with N95 or higher filtration to prevent inhalation of infectious particles. Information about respirators and respiratory protection programs is summarized in the Guideline for Preventing Transmission of Mycobacterium tuberculosis in Health-care Settings, 2005 (CDC.MMWR 2005; 54: RR-17 12). Respiratory protection is broadly regulated by OSHA under the general industry standard for respiratory protection (29CFR1910.134)764 which requires that U.S. employers in all employment settings implement a program to protect employees from inhalation of toxic materials. OSHA program components include medical clearance to wear a respirator; provision and use of appropriate respirators, including fit-tested NIOSH-certified N95 and higher particulate filtering respirators; education on respirator use and periodic re-evaluation of the respiratory protection program. 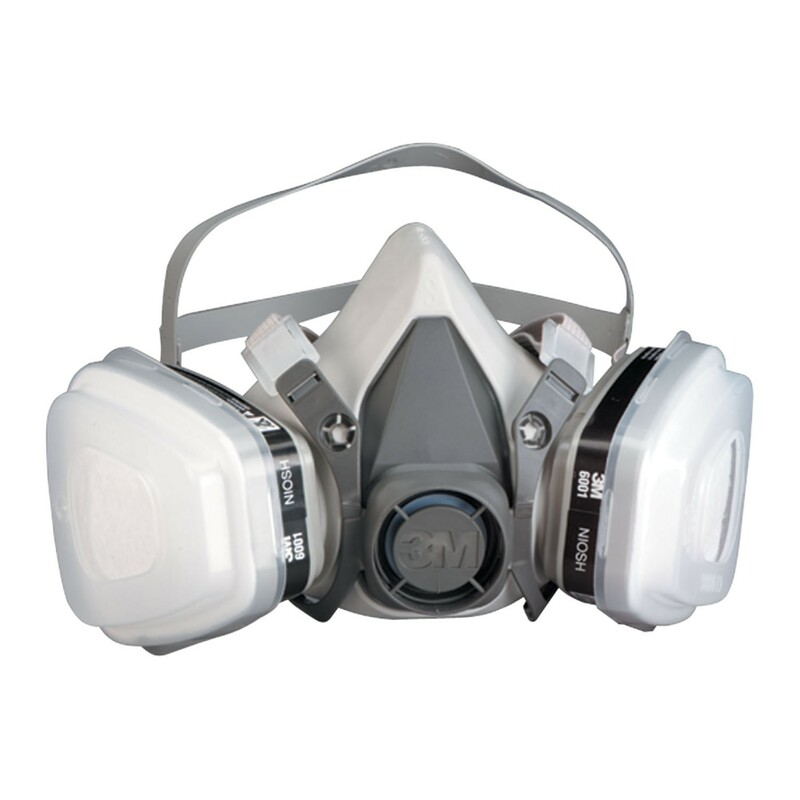 When selecting particulate respirators, models with inherently good fit characteristics (i.e., those expected to provide protection factors of 10 or more to 95% of wearers) are preferred and could theoretically relieve the need for fit testing 765, 766. Issues pertaining to respiratory protection remain the subject of ongoing debate. Information on various types of respirators may be found at www.cdc.gov/niosh/npptl/respirators/respsars.html and in published studies 765, 767, 768. A user-seal check (formerly called a "fit check") should be performed by the wearer of a respirator each time a respirator is donned to minimize air leakage around the facepiece 769. The optimal frequency of fit-testng has not been determined; re-testing may be indicated if there is a change in facial features of the wearer, onset of a medical condition that would affect respiratory function in the wearer, or a change in the model or size of the initially assigned respirator 12. Respiratory protection was first recommended for protection of preventing U.S. healthcare personnel from exposure to M. tuberculosis in 1989. That recommendation has been maintained in two successive revisions of the Guidelines for Prevention of Transmission of Tuberculosis in Hospitals and other Healthcare Settings 12, 126. The incremental benefit from respirator use, in addition to administrative and engineering controls (i.e., AIIRs, early recognition of patients likely to have tuberculosis and prompt placement in an AIIR, and maintenance of a patient with suspected tuberculosis in an AIIR until no longer infectious), for preventing transmission of airborne infectious agents (e.g., M. tuberculosis) is undetermined. Although some studies have demonstrated effective prevention of M. tuberculosis transmission in hospitals where surgical masks, instead of respirators, were used in conjunction with other administrative and engineering controls 637, 770, 771, CDC currently recommends N95 or higher level respirators for personnel exposed to patients with suspected or confirmed tuberculosis. Currently this is also true for other diseases that could be transmitted through the airborne route, including SARS 262 and smallpox 108, 129, 772, until inhalational transmission is better defined or healthcare-specific protective equipment more suitable for for preventing infection are developed. Respirators are also currently recommended to be worn during the performance of aerosol-generating procedures (e.g., intubation, bronchoscopy, suctioning) on patients withSARS Co-V infection, avian influenza and pandemic influenza (See Appendix A). Although Airborne Precautions are recommended for preventing airborne transmission of measles and varicella-zoster viruses, there are no data upon which to base a recommendation for respiratory protection to protect susceptible personnel against these two infections; transmission of varicella-zoster virus has been prevented among pediatric patients using negative pressure isolation alone 773. Whether respiratory protection (i.e., wearing a particulate respirator) would enhance protection from these viruses has not been studied. Since the majority of healthcare personnel have natural or acquired immunity to these viruses, only immune personnel generally care for patients with these infections 774-777. Although there is no evidence to suggest that masks are not adequate to protect healthcare personnel in these settings, for purposes of consistency and simplicity, or because of difficulties in ascertaining immunity, some facilities may require the use of respirators for entry into all AIIRs, regardless of the specific infectious agent. Procedures for safe removal of respirators are provided (Figure). In some healthcare settings, particulate respirators used to provide care for patients with M. tuberculosis are reused by the same HCW. This is an acceptable practice providing the respirator is not damaged or soiled, the fit is not compromised by change in shape, and the respirator has not been contaminated with blood or body fluids. There are no data on which to base a recommendation for the length of time a respirator may be reused.